Peel-and-stick removable wallpaper, so popular today to create a feature wall in a room, is not new. This Amana kitchen ad, which ran in House Beautiful in 1967, illustrates the popularity of plastering flower power-style wallpaper on every surface, including the cabinets and fridge. 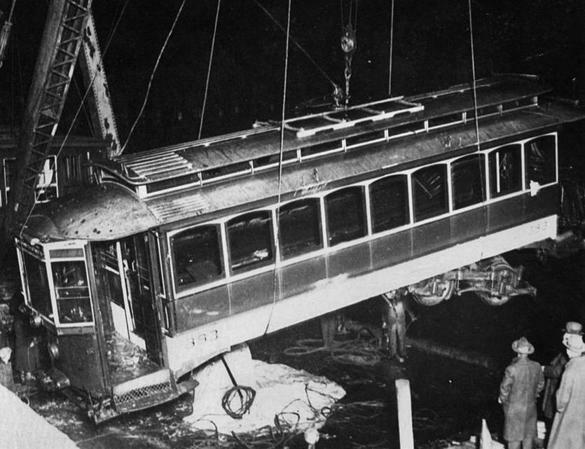 One in a series of occasional stories on the summer of 1967, an era of tumult and change. Learn more about this project. The year marked a turning point in society, culture, and design, abandoning buttoned-up for exuberant, minimalism for maximalism. Postwar consumerism and Kennedy-era optimism yielded to a rejection of materialism and disillusionment with government intervention in Vietnam. An influx of new music (most notably the Beatles’ “Sgt. Pepper’s Lonely Hearts Club Band”), global styles, and psychedelic drugs added steam to the counterculture movement. 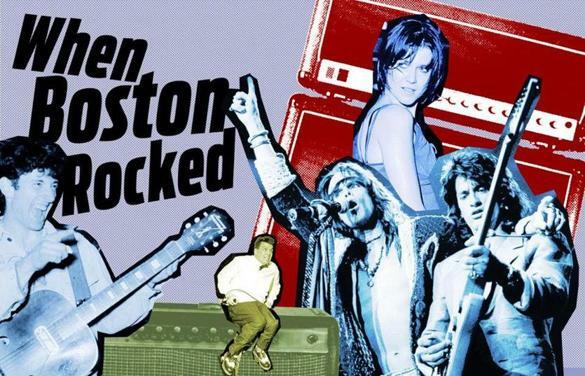 The conformity of the 1950s gave way to personal expression, and, by 1967, Summer of Love-type style was evident not just in the Haight, but in people’s homes. 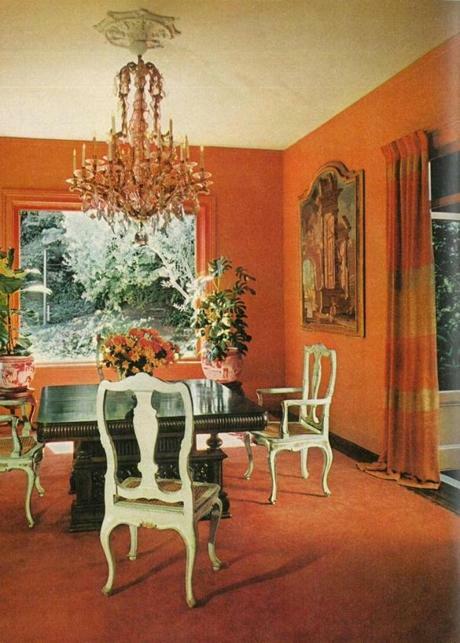 The dining room of San Francisco mansion built in 1850, featured in the June 1967 issue of House Beautiful, is executed in orange, the color of the moment. The home’s newly built main staircase and entry also boasted a monochromatic orange runner and area rug. Women’s and decorating magazines of the era balanced the latest trends with the way people really lived. Pages featured rooms anchored with traditional antique styles and sprinkled with industrial-infused mid-century modern designs of the 1940s and ’50s, considered rigid by its detractors. The 1960s saw bright colors, bold patterns, and objects from new lands brought back from trips (made possible by the newly popular jet travel) introduced into the home, reflecting the country’s buoyant mood. 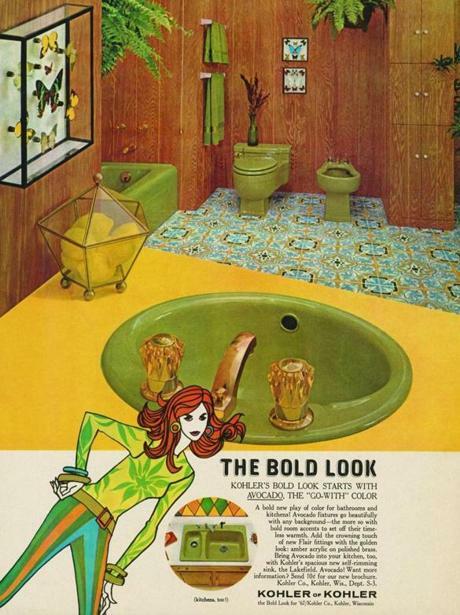 Color and pattern were at the forefront of advertising, too, with 1967 ads hawking apricot brocade mattresses, colorful sinks, wall-to-wall carpet, and wall ovens in “Tahitian” green. An Amana ad featured a kitchen with orange oversized-daisy wallpaper covering not just the walls, but the cabinetry and fridge. Not everyone wholeheartedly embraced the new look. 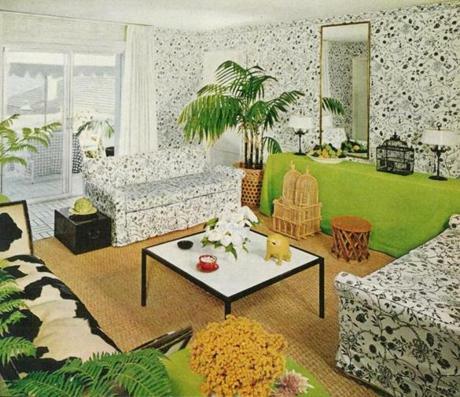 A Chicago Tribune article in 1967 cautioned newlyweds against using wild floral patterns simply because it was fashionable. Paragraphs later, however, the writer recommends the color orange, as well as pink-and-red combos. “While modernism was obsessed with rationality and uniformity, what came next was about celebrating the individual, creativity — color TV was becoming the norm, jet travel was becoming more accessible and widespread — and how people expressed themselves through design: from furniture to fashion. People’s private lifestyles became a political statement, and our homes reflected that. In the ’60s, modernism took on a more playful and individualistic attitude, which evolved into what we saw in the ’70s.” Modernism left behind the rigid lines of the industrial mid-century modern designers in favor of more sensual silhouettes. Created around 1967, the Face à Face sofa by French designer Pierre Paulin is a good example of the curvier, more free-flowing aesthetic that took hold. Such avant-garde pieces may not have landed in middle-class living rooms but were conspicuous in interior designer Barbara D’Arcy’s model rooms on Bloomingdale’s fifth floor in Manhattan. The mastermind behind the store’s home furnishings department from 1958 to 1973, D’Arcy created environments as plush, styled, and on-trend as those featured in glossy magazines. D’Arcy’s 2012 obituary in The New York Times credits her “eclectic sense of style” as a major influence on Americans’ taste in home furnishings. D’Arcy’s designs mixed antiques (she adored French country pieces) with furniture made from upholstered foam, Lucite and steel, and injection-molded plastic. Furniture forms could be anthropomorphic and low to the ground, rooms might be multilevel (think platform beds and conversation pits), and floors made from panels backlit by fluorescent lights. Op art, Indian and Moroccan rugs, primitive sculptures, tropical plants, and pierced fretwork made frequent appearances. Boston shoppers also got ideas from model rooms. Jan Whitaker, author of “Service and Style: How the American Department Store Fashioned the Middle Class,” recalled that Jordan Marsh hosted an annual “Good Taste in Living Show” from the late 1950s through the ’60s. A 1969 ad heralded 20 model rooms with comfortable, functional, space-saving furniture in simple lines. Carolyn B. Meek of the International Furnishings and Design Association, who taught interior design history for 25 years, recalled the store offering interior design services. “There was a gentleman who would go to your house if you were a customer,” Meek said. Another strong influence on local decorating taste was Design Research in Cambridge. Founded by architect Ben Thompson, it was the first to sell a lifestyle the way the likes of Crate & Barrel and West Elm do today. Thompson’s more relaxed iterations of model rooms were filled with housewares sourced from around the globe, including many from Scandinavian designers. It was also the exclusive seller of Marimekko textiles in the States. In the 1960s, enamored of new plastic materials, Thompson imported playful pieces from Italy such as the Blow armchair, the first mass-produced inflatable chair. 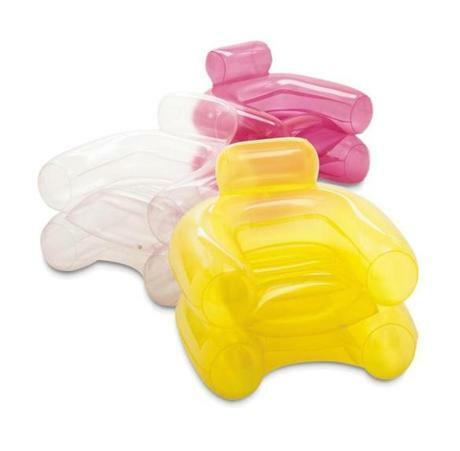 The Blow inflatable armchair, made of PVC, was designed by Jonathan De Pas, Donato D’Urbino, and Paolo Lomazzi and Carla Scolari for Zanotta in 1967. It was the first mass-produced inflatable chair and is a pop furniture icon that embodies the era’s free spirited lifestyle. 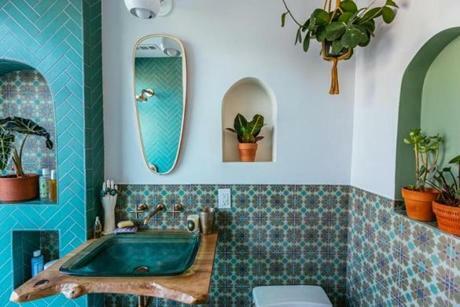 Justina Blakeney, the Los Angeles-based writer behind the bohemian-style blog “The Jungalow,” chose Moroccan-inspired Fireclay Tile for her recent master bathroom redesign, along with Kohler fittings and fixtures. The colors and patterns, along with her proclivity for houseplants, creates a vibe reminiscent of late 1960s-early 1970s global-influenced design. “Global pieces were becoming more and more incorporated into the décor as the ‘60s progressed,” Blakeney said. Once targeted as teardowns, ranch houses built as affordable housing for soldiers returning from World War II are becoming more desirable. Dan Sharry , an agent with Redfin working in MetroWest, says with today’s limited inventory in geographically desirable neighborhoods, buyers are giving ranches a second look. Newton-based architect Deborah Pierce points out the versatility of one-level living for empty-nesters looking to downsize and age in place. “The design style has roots in Frank Lloyd Wright’s prairie-style houses, the growing allure of sunny California lifestyles and surfer culture, and an increasingly leisure-focused American sensibility,” Pierce said. “Lots of glass and deep eave overhangs let in daylight while blocking glare. Patios extended to interior flooring materials. Ads at the time showed family BBQs with the kids and dogs running through wide-open sliding doorways. . . . It’s one of the uniquely American architectural typologies, along with the Cape in New England, the Midwest bungalow, and the “shotgun” in New Orleans. Design and society evolve on parallel courses; the material things with which we surround ourselves are in direct relation to our personal beliefs and the way we choose to live. We saw how vibrant, fluid décor emerged from a society preoccupied with free love. Just as changes in design echoed societal change in the late 1960s, so they do now. It’s easy to observe parallels between 1967 and 2017 from a sociopolitical perspective. The awakening of political activism and resulting resistance movement that opposes the country’s current administration reverberate from an earlier time. Today, it’s not the counterculture versus the Establishment, but Middle America versus the so-called coastal elite. Like then, 2017’s tumult stems from issues of equal rights, environmentalism, and globalization. 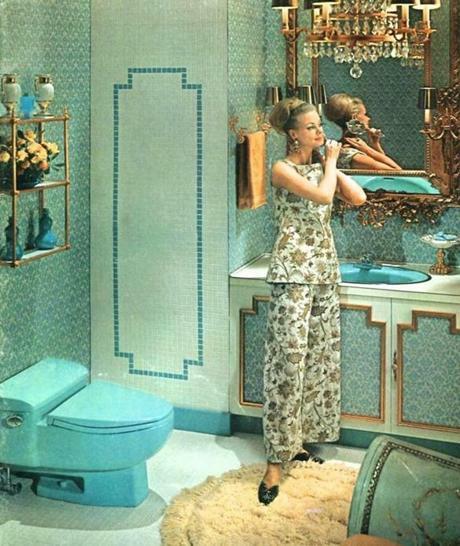 The pattern of this (most likely vinyl) floor in this 1967 Kohler ad for “Avocado” bathroom fittings is incredibly similar to the Moroccan-inspired cement tiles so popular in bathrooms today. Avocado appliances and orange wall-to-wall carpet are unlikely to infiltrate our homes again anytime soon (if ever). However, the change we’re seeing has the same mood. Now, as then, we are experiencing vibrancy, abandon, and individualism. Again we see life as a catalyst for design. And people finding their voices. Considered the father of American art furniture, Wendell Castle (born 1932) is known for the rounded, sculptural pieces he’s been creating since the early 1960s. 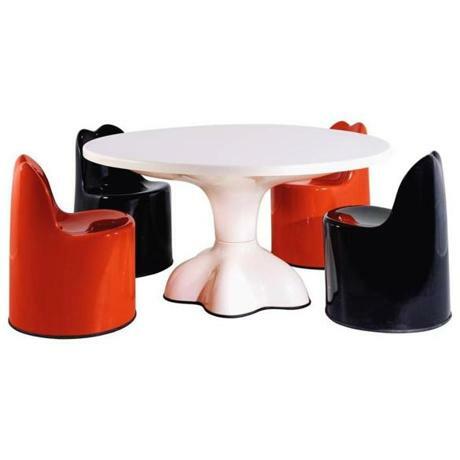 This original-production Molar Group dining set (1969), made of gel-coated red, black, and white Fiberglas, is offered through a dealer online at 1stdibs for $29,000. 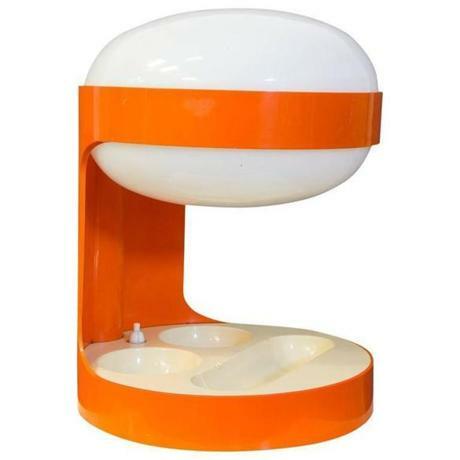 Futuristic plastic lamp KD29 was designed in 1967 by Italian industrial designer Cesare “Joe” Colombo for Kartell. Design Research in Cambridge was the sole distributor for Colombo’s furniture in the United States at the time. 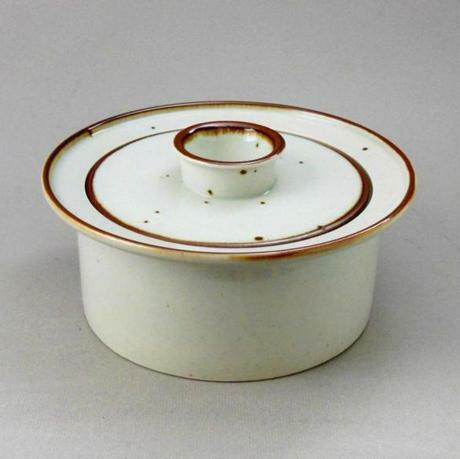 It is currently offered by a dealer in Amsterdam on antique marketplace 1stdibs for $765. Paddle8: Maura Smith, a specialist in US postwar and contemporary art for the auction house, has seen an increased interest in studio ceramics. She cites last month’s Contemporary Ceramics sale, which included newer works by 1960s artist Daniel Buren, as recognition of the growing importance of the medium.